With millions of copies sold worldwide, Di Morrissey is Australia's favourite storyteller with new novel Arcadia out now. Natalie is a young Gold Coast mother with a loving husband, two small children and a happy lifestyle. While helping her mother move house, she finds a little box containing a Burmese artefact. When Natalie learns its unique history through a letter left by her great-great uncle, it ignites an interest in its country of origin and her uncle's unfulfilled plans for this curio. This book is so well written - it gives a real insight into the history of Burma which is integrated with the storyline. I have read all Di Morrisseys books always enjoyed them, but the golden land was the most interesting. I found parts of this book quite interesting but it just didn't grab me. 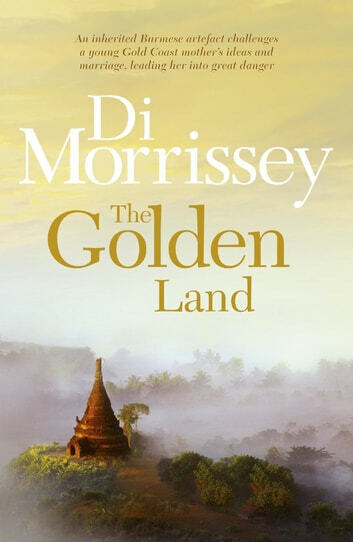 I have read Di Morrissey before and really enjoyed her style of writing but this book didn't do it for me.